Is private school education right for you? The reasons to seek a private school education are as varied as the children the schools serve. Whether it’s for academics, class size, discipline, or faith-based preference, every parent at some point looks at the buffet of public and private schools then decides what is best for their child. For Bonnie and Ty Miller of Johns Creek, that decision was made midway through the elementary years in public school. The school had stellar academics, but the Millers wanted an education beyond books and classwork. So how do parents navigate the maze of private school offerings? The key question parents should ask is “Can I see my child thriving in this environment?” advises Dr. Kirk Walker, president of the Southern Association of Independent Schools (SAIS). ”Every independent school has a unique mission which provides parents and their children with a wide range of opportunities to find the best fit. I would encourage parents to visit the school’s website, study their mission, visit the school, see the classrooms, talk with the teachers, ask your questions, and then follow your instincts,” says Walker. Here is a starting point for parents considering a private school education. There are more than 800 private schools in Georgia, but parents should ensure the school is accredited by an independent accreditation agency if their child’s post-high school plans include college. Most colleges, as well as scholarship providers, require students to be graduates of accredited high schools (unless home schooled). In metro Atlanta, more than seventy private schools are accredited by one of six accreditation agencies, including SAIS, AdvancEd (often referred to as SACS), and the Georgia Association of Christian Schools (GACS). Once accredited, schools are reviewed and renewed on a five-year cycle. Accreditation lets parents know the school is committed to continuous improvement and subject to outside review. “A school accredited by AdvancEd shows it wants to go above the state’s minimum requirements and chooses to go on a path of continuous accreditation as opposed to just a seal of approval focused on performance,” says Blair Edwards, director of public relations for AdvancEd. Is there a higher level of academic performance? There are many high-performing public schools in metro Atlanta, but access into those top schools is primarily attendance-based—if you don’t live in the zone you likely can’t go to that school. So with limited public school choices, private school may be the best option. Overall, statistics show private school students outperform their public school peers in nearly all areas, from state assessments, to Advanced Placement (AP) scores, to college entrance exams, and acceptance. According to the National Association of Educational Progress (NAEP), students in fourth, eighth, and twelfth grades in all categories of private schools had higher average scores in reading, mathematics, science, and writing than their public school peers. Much of the success for private school students can be tied to smaller class sizes. Educational research shows academic performance is highest when class sizes stay below twenty students—the norm for private schools—but a nearly impossible goal in a traditional public school classroom. How does the school prepare graduates for college? lum is focused on college prep. At the Walker School in Marietta, students can choose from twenty-five different Advanced Placement (AP) courses, and school officials note every student takes at least one AP course prior to graduation. AP courses are college-level courses, and college credit is given for students who pass the course exam. the “pass rate” is for students. Graduation rates are also higher at private schools, with more than 90 percent of students graduating in four years. Among Georgia’s public schools, that rate is under 80 percent. Among the eighteen schools affiliated with the Archdiocese of Atlanta, which enroll more than 11,000 students, the graduation rate exceeds 92 percent, with 97 percent of graduates moving on to college. Are private school teachers as qualified as public school teachers? The lower pay for private school teachers fuels the assumption that teacher quality is not as high as in public schools. But there are reasons private school teachers accept salaries 5 to 10 percent lower than public school staff, despite identical credentials. For the Archdiocese of Atlanta schools, lower teacher salaries are passed on to parents in the form of lower tuition. “Since salaries and benefits comprise about 80 percent of our schools’ budgets, these salary ranges allow us to keep our tuition increases as low as possible each year,” says Diane Starkovich, superintendent of schools for the Archdiocese of Atlanta. Experience and credentials are nearly the same, based on statistics from the U.S. Department of Education. Teachers in both public and private schools have an average of fourteen years of teaching experience, with about half holding an advanced degree. Do most schools have a religious foundation? Nearly 70 percent of private schools in Georgia are religiously affiliated, with the majority of those Catholic schools. But parents looking for a faith-based school can choose from many options, from Quaker to Jewish to Muslim. Admission to a religiously affiliated school does not always require the student to be of the same faith, and most faith-based schools accept those outside the faith. Students, however, will be required to participate in religious courses as part of the curriculum. 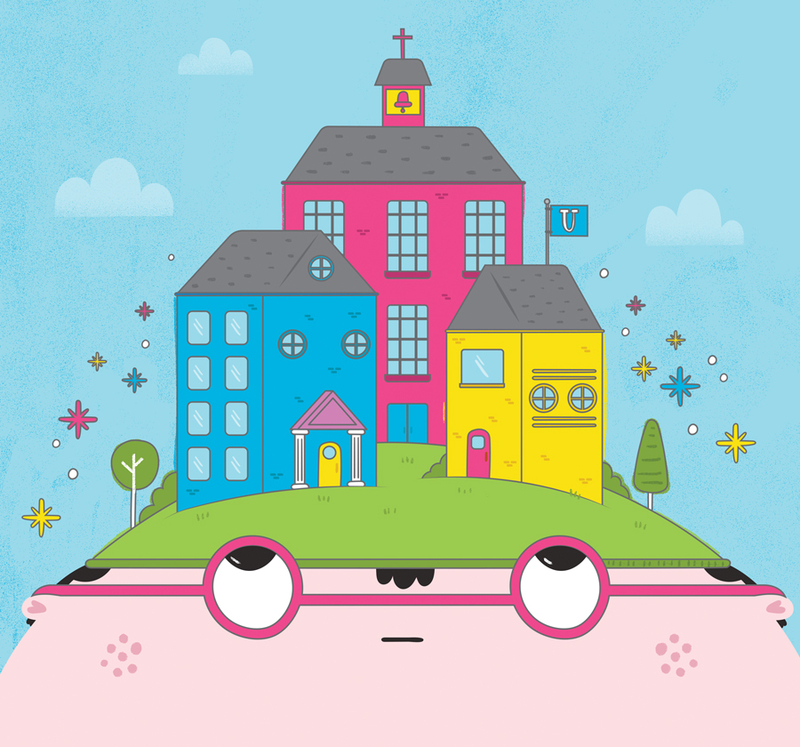 In general, tuition for religious-based schools tends to be lower than non-partisan schools. With tuition averaging over $10,000 a year for private schools, that decision is a personal one. Financial aid is available at nearly every independent school, but is primarily needs-based. Investigate the options, compare tuition and financial aid packages, and decide if the family sacrifice is worth the education your child will receive. challenges, and encourages parents to prioritize. “If a private school is what you want, you’ll figure out how to afford it and make it happen,” says Melissa.